Come and join us at this special event to celebrate the coming of Refugee Week! Try out some new crafts, learn new languages, join in conversations and raise your awareness around issues of migration and asylum. Feel free to drop in. Everyone is welcome! Poster Display: View some thought provoking, illustrated posters by artist Dai Owen, which depict three stories of refugees and asylum seekers. Posters will be available to take away! 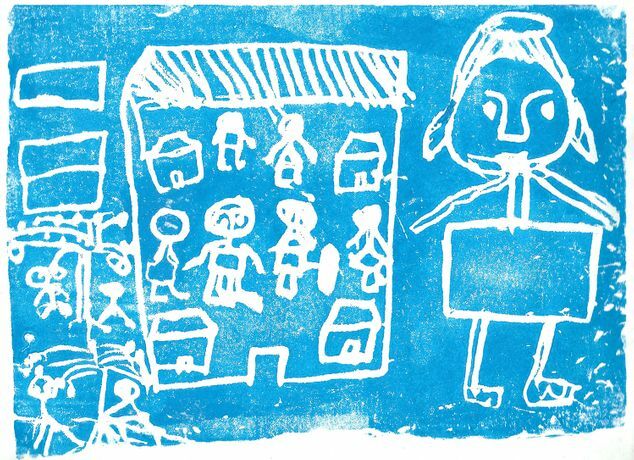 Audio piece 'I am [a Human Being]': Kate Bevan tells the story of five refugee women's, search for safety, dignity and a place to call home. All stories come form United for Change members. Regional Asylum Activism (RAA): Find out about the work that RAA do and test your knowledge by taking their quiz. Cultural Conversation: Join in a relaxed and welcoming conversation where you can reflect on your own society and learn about some of the places that people in Manchester come from. Sewing circle: Try some hand embroidery techniques from [place name here] and stitch some words responding to the Portico Library or to the Refugee Week theme of “Welcome”. Voyages and Travels: Researchers have been looking at books in The Portico Library’s 19th century Voyages and Travels section to explore the library’s holdings and discover things about their own cultural pasts. This is a chance to chat with them about their findings. Language Exchange: Share your own language learn greetings in different languages from around the world. Refreshments: Teas, coffees and delicious homemade cake on sale!